. 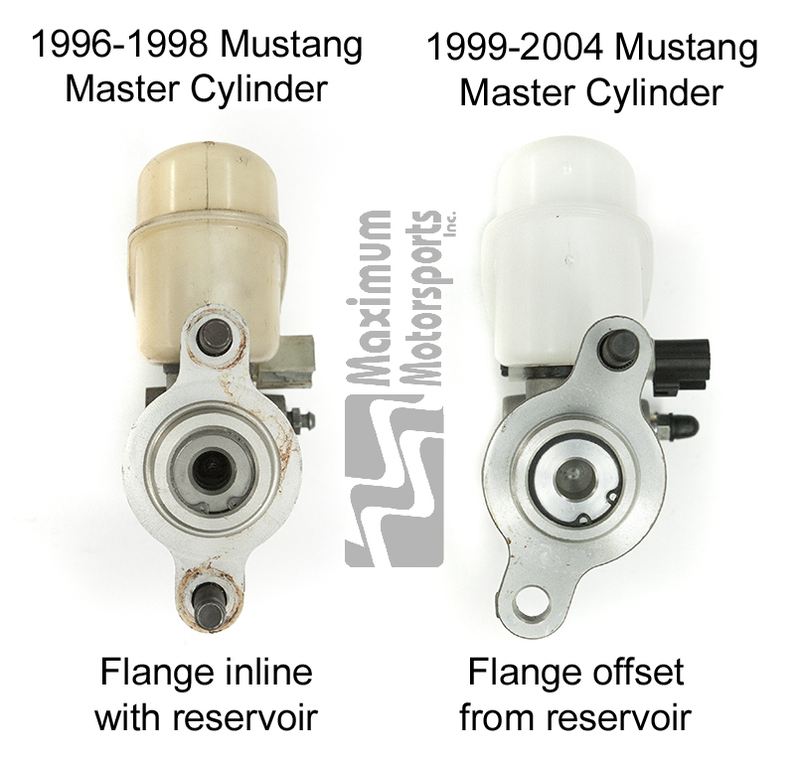 Why install a Hydroboost in a Fox Mustang? Firewall adapter block. 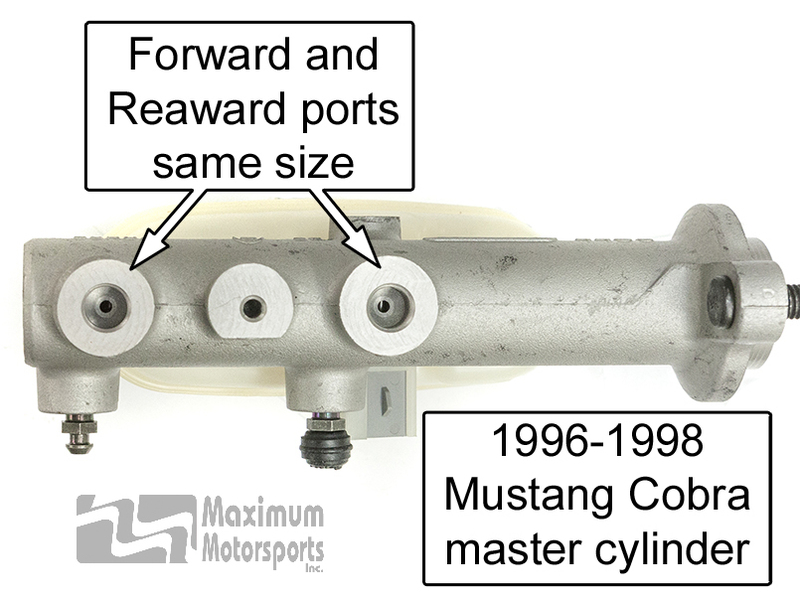 MM's billet aluminum design mounts the Hydroboost unit at the correct angle, the correct height, the correct fore/aft location, and the correct lateral location to operate exactly as it was designed to operate in a 1996-1998 Mustang. 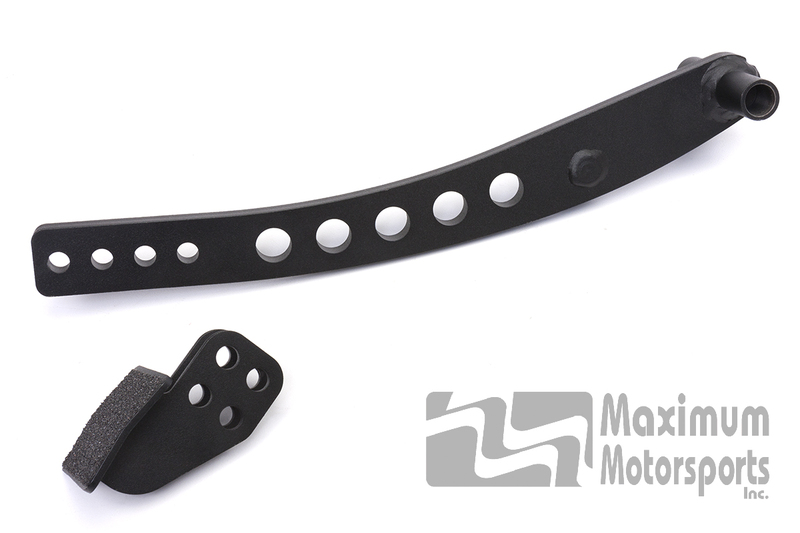 The 4 mounting studs are located to match the Fox firewall pattern of holes. Brake pedal. 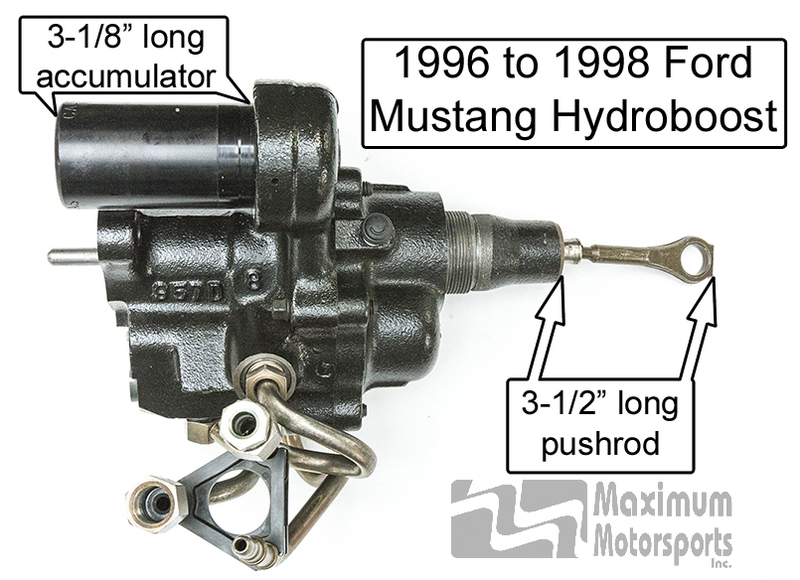 The pedal arm is made of high-strength alloy steel, with the pushrod pin in the correct location to match the brake pedal ratio and pushrod geometry of a 1996-1998 Hydroboost Mustang. 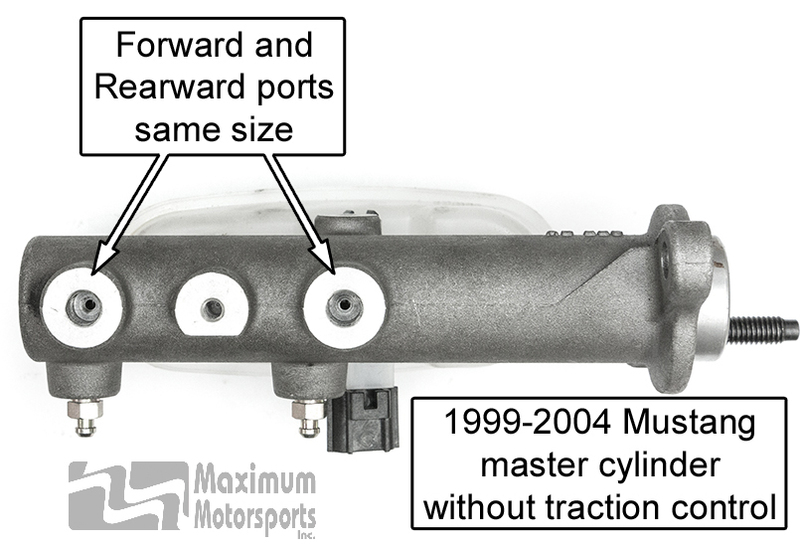 This gives the brake system the correct pedal travel and effort, and keeps the master cylinder from being over-stroked. 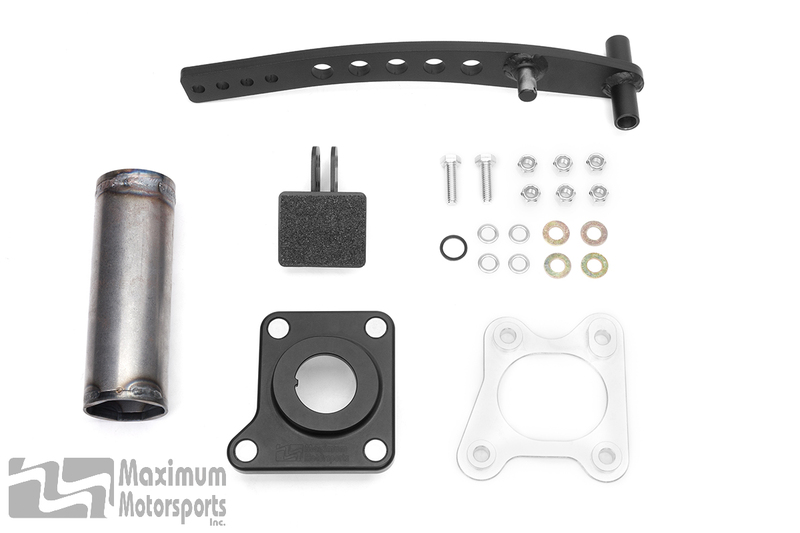 The separate pedal pad is adjustable via multiple mounting holes to accommodate different driver preferences. Tool. 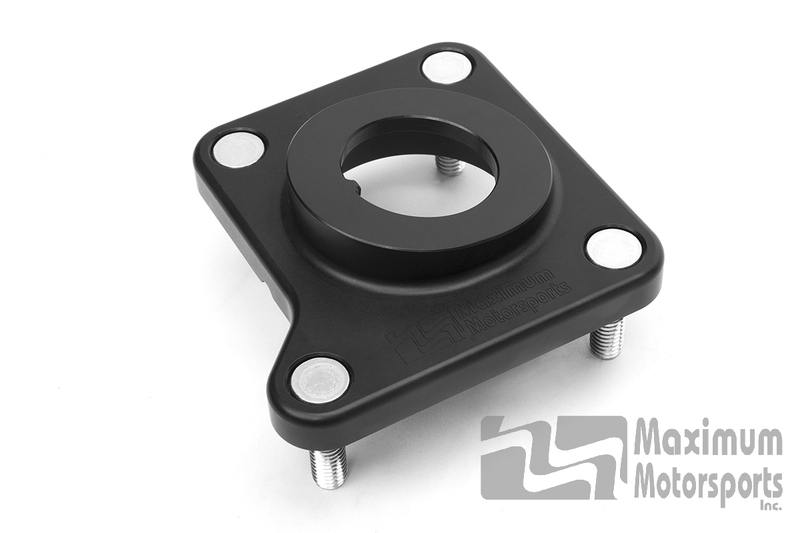 An MM-designed special socket removes the giant nut securing the Hydroboost unit to the stock firewall mounting plate, and then reinstalls it on the MM Aluminum Firewall Block. 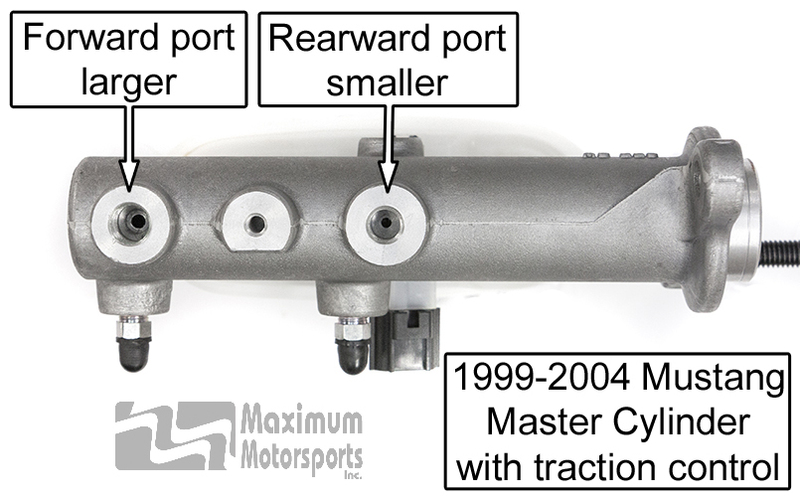 You can calculate the fluid requirement of your calipers from the piston area, and then segue into calculating the bias by taking into account the rotor diameters. 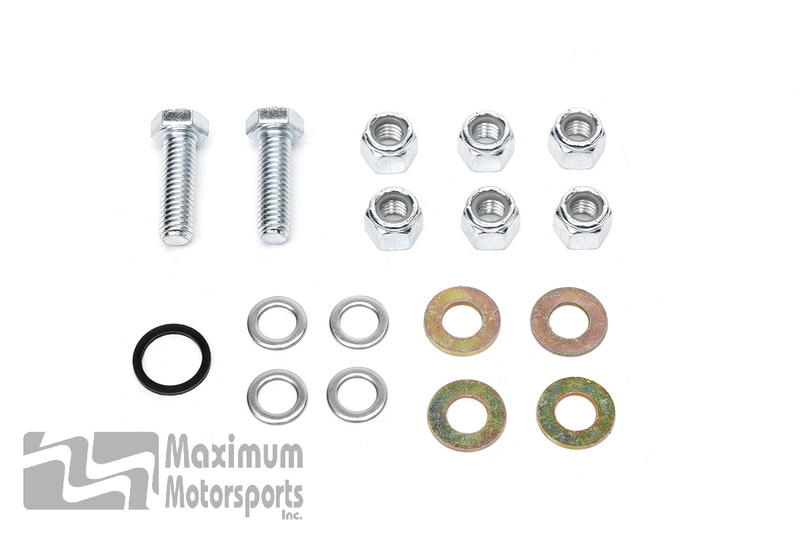 Or, you can take advantage of MM's Technical Services and let MM's setup engineer do the math. 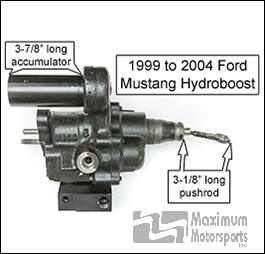 Select the Fox Hydroboost Conversion option, and follow the instructions. 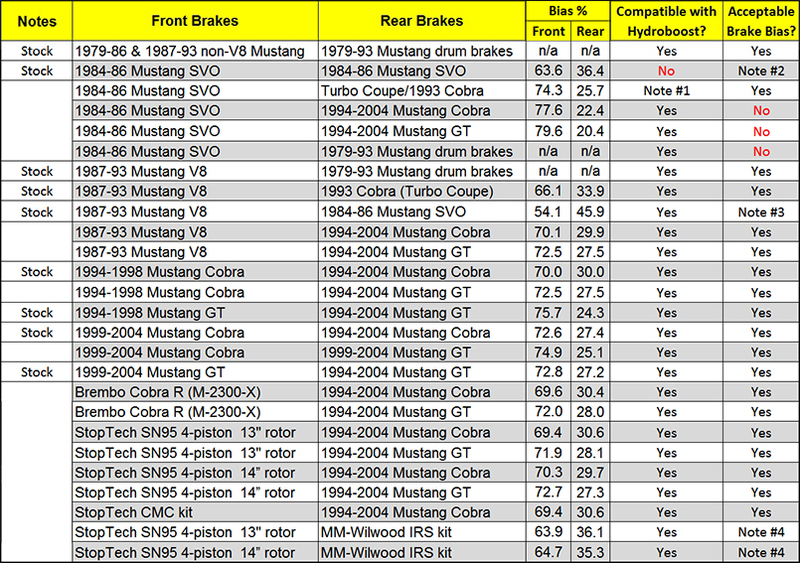 Brake systems we've done the calculations for are listed on the Fitment tab. 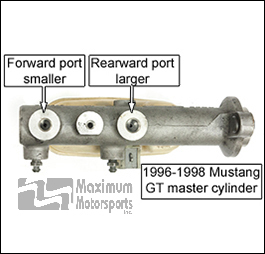 There were 2 different master cylinders for 1996-1998: GT and Cobra. 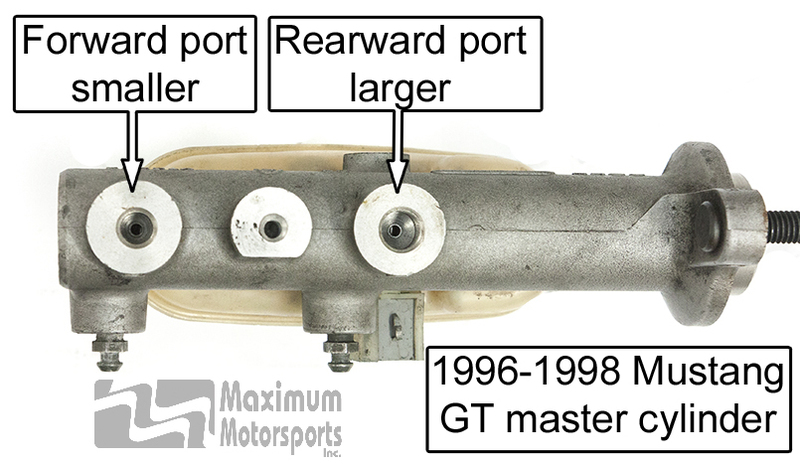 If using the 1996-1998 GT front calipers and rotors or the 1984-86 SVO front calipers and rotors, the GT master cylinder must be used. 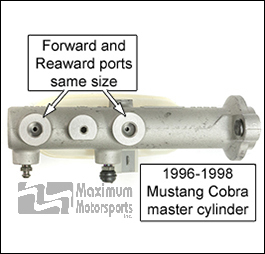 Use the 1996-1998 Cobra master cylinder. 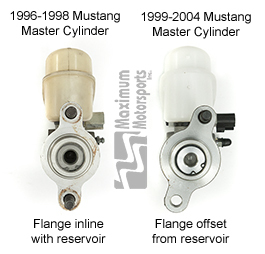 Install a power steering fluid cooler in the return line from the steering rack, before the T-fitting. 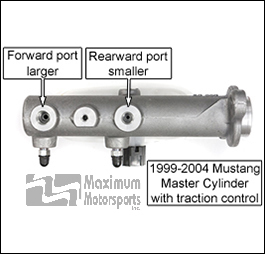 Recommended for all applications, and a requirement for track-driven Mustangs to prevent failure of the Hydroboost unit from overheated fluid. Firewall Adapter Block bolts to the firewall, with no firewall modifications needed. Easy to return the car to stock. 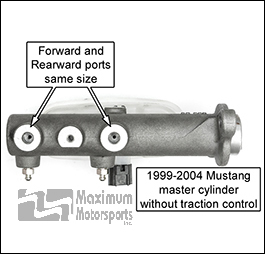 MM Brake Pedal Arm is made of high-strength alloy steel, with the pushrod pin in the correct location to match the brake pedal ratio and pushrod geometry of a 1996-1998 Hydroboost Mustang. 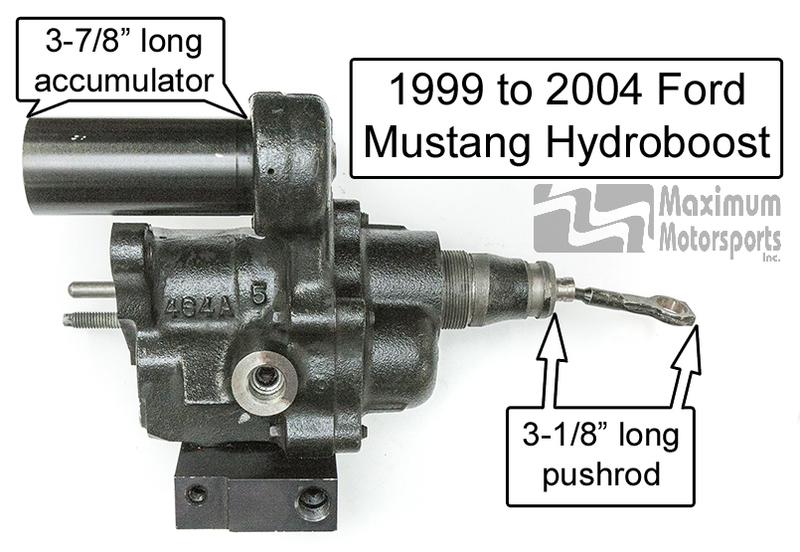 Why doesn't the MMBAK-19 fit the 1999-2004 Hydroboost? 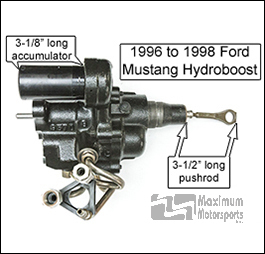 The later Mustang Hydroboost has a different pedal ratio, which requires a different location for the Hydroboost unit and a different brake pedal arm to match.